On the month anniversary of the deaths of both Carrie Fisher and her mother Debbie Reynolds, who died within days of each other, a public memorial has been announced. 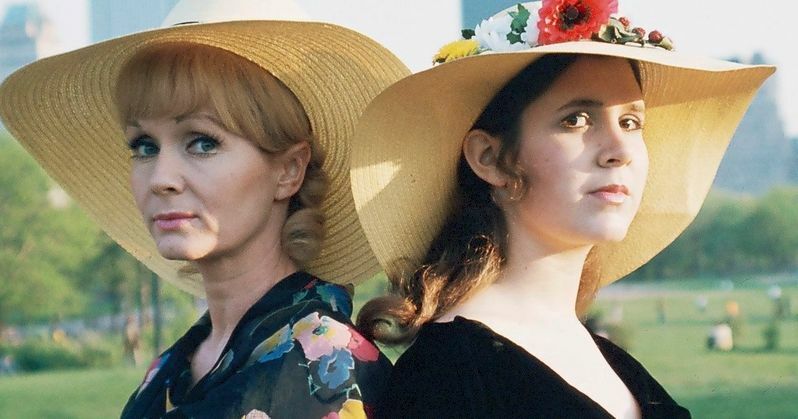 Fans of both actresses, each icons in their own right, are being invited to celebrate the legacy of the mother-daughter duo. The memorial will be a joint affair that looks back at both of their careers. Carrie Fisher's brother, Todd Fisher, announced the memorial on Twitter. The service is happening March 25. It will take place at Forest Lawn Hollywood Hills. Fisher says this. "We will be celebrating their lives with friends, family members, and the people who loved them, you. The service will begin at 1:00 PM and immediately afterwards, those who want to walk to their final resting place are welcome to do so.There are a limited number of seats available, and it will be on a first come first come, first seated basis. There are no tickets, it is first come, first seated. There will be room for overflow in the huge lobby as well as the outside with screens to watch and hear the service." Carrie Fisher passed away a few days after suffering a heart attack while aboard an 11-hour flight from London to Los Angeles on December 23, where she was promoting her latest memoire. She reportedly went into cardiac arrest. Fisher died on December 27 at the UCLA Medical Center. She was 60 at the time of her passing. The cause of death has been declared cardiac arrest/deferred, which is listed on the official death certificate. Debbie Reynolds died just one day later, passing away on December 28. She was 84 at the time of her death. She suffered a stroke while away from the hospital where her daughter was staying. She was rushed from her property back to the hospital. She reportedly died from a blood vessel that ruptured, causing bleeding in her brain. Her cause of death was listed as intracerebral hemorrhage. A classically trained Hollywood actress, Debbie Reynolds is perhaps best known for her starring role in the musical Singin' in the Rain. Carrie Fisher starred as the iconic Princess Leia in the original Star Wars trilogy that first debuted in 1977 when she was just 19-years-old. She would later reprise her role in 2015's blockbuster hit Star Wars: The Force Awakens. She will also be seen in this December's sequel Star Wars; The Last Jedi, which she wrapped filming on last year. HBO released the documentary Bright Lights earlier this month, which focuses on the unique relationship between mother and daughter. It wasn't scheduled to air until March, but interested in the movie convinced HBO to release it earlier than expected. Debbie Reynolds was buried at Forest Lawn Memorial on January 6. Some of Carrie Fisher's ashes were buried along with her, in an urn that was shaped like a Prozac pill. Todd Fisher explained on the day of the burial that while it might have been a strange choice, the giant drug capsule was one of Carrie Fisher's favorite things, and was what she wanted her ashes stored in.